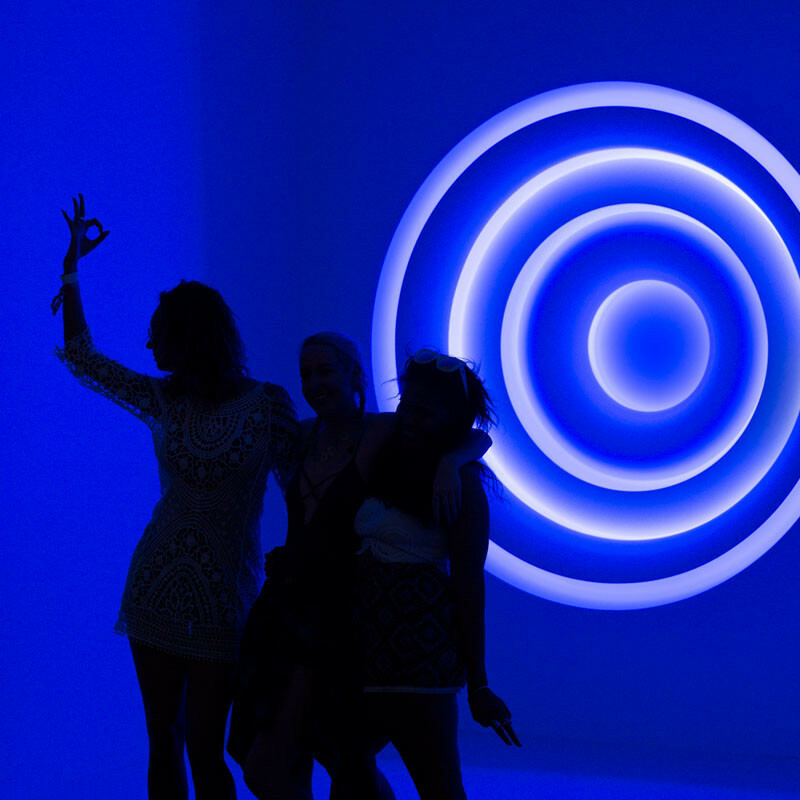 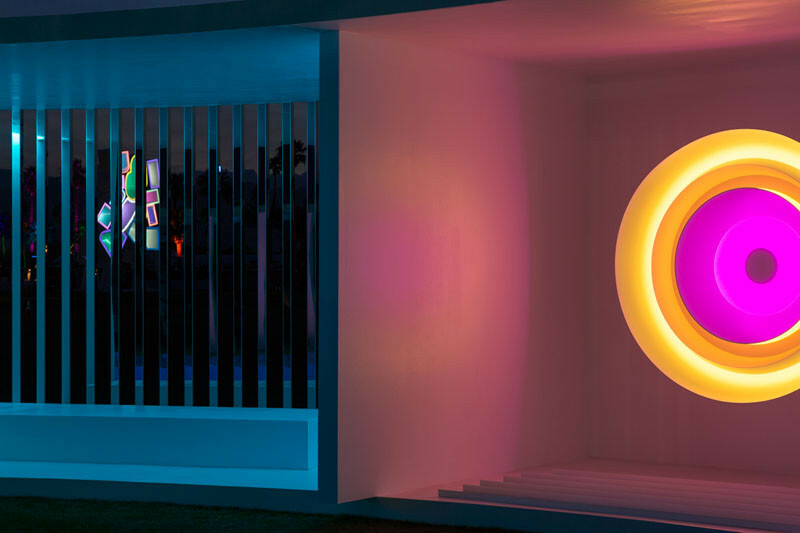 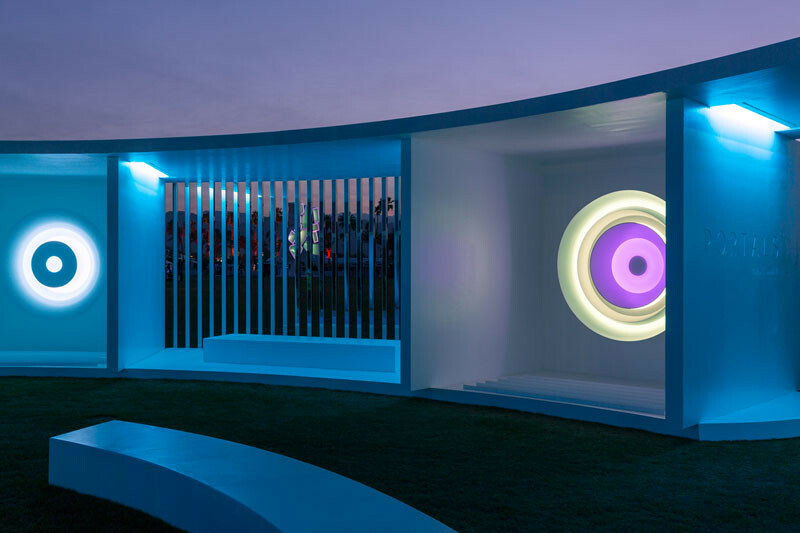 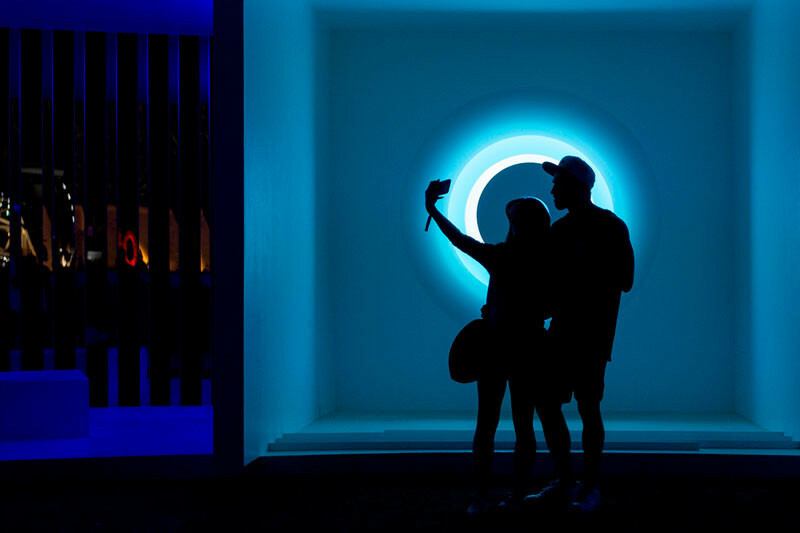 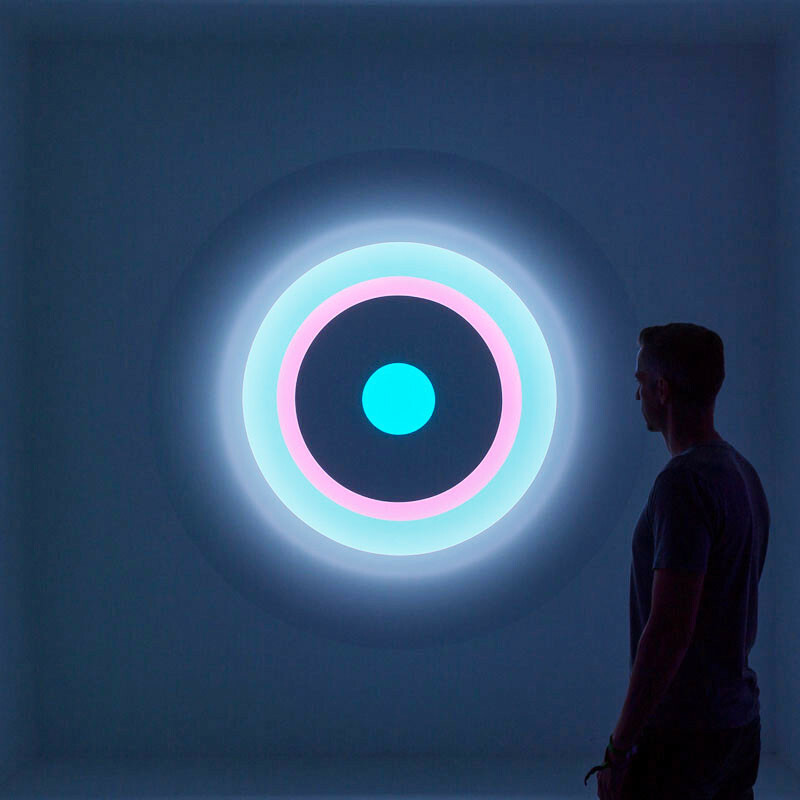 American artist Phillip K Smith III, recently launched his PORTALS 2016 art installation at the Coachella Music and Arts Festival in California. 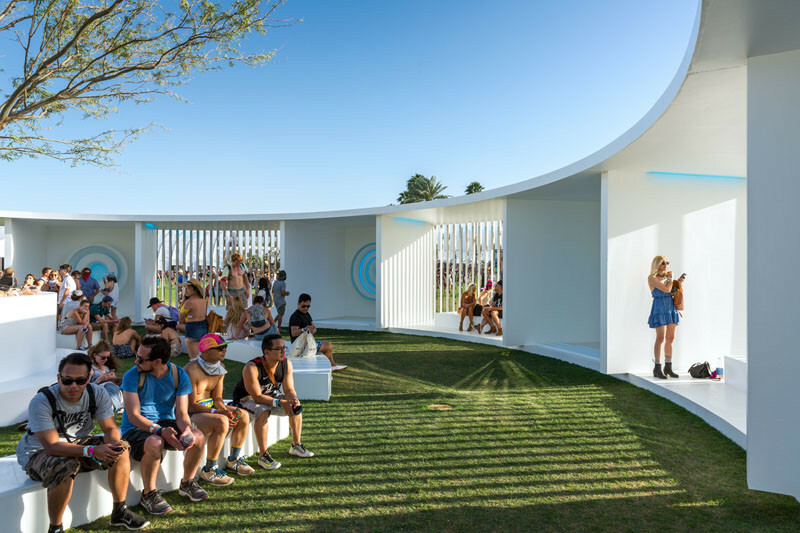 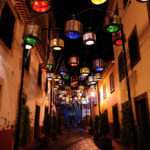 It’s an architecturally designed pavilion that has eight light sculptures hidden within, that will be on view for festival attendees until April 25th. 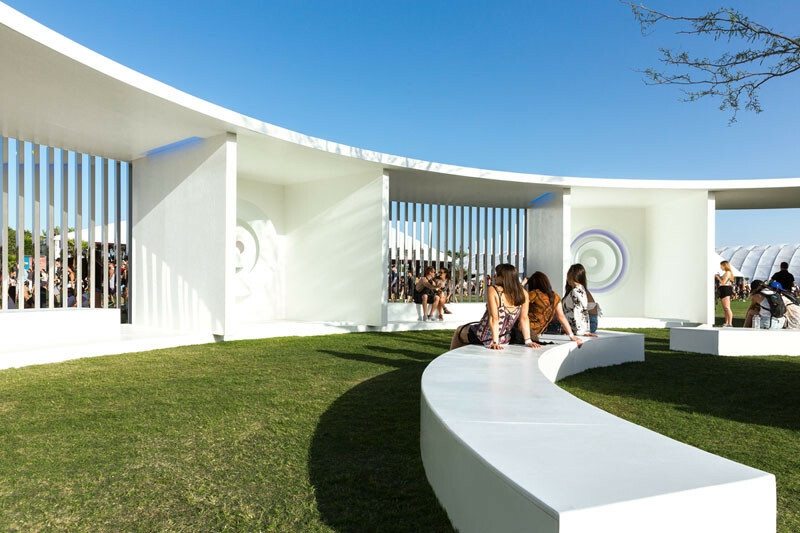 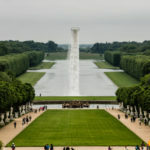 The large structure is surrounded by hundreds of highly polished stainless steel columns. 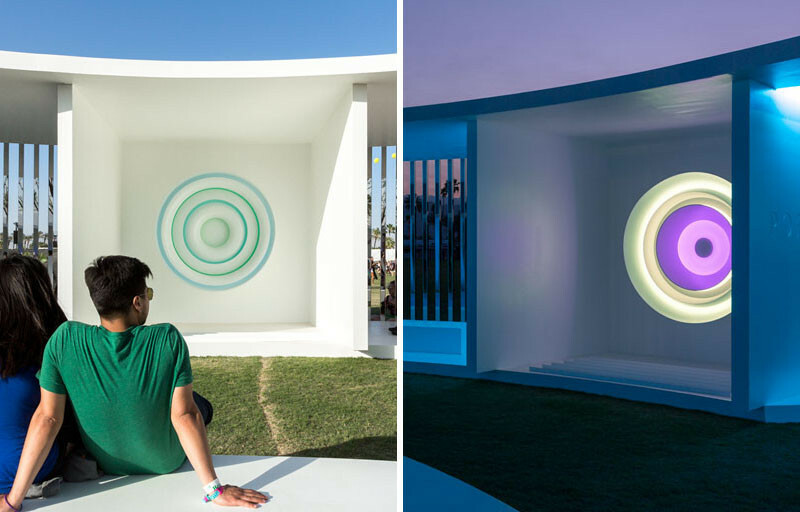 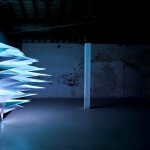 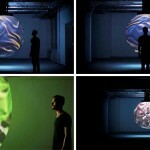 Inside, there are places to relax and take in the installation, watching the pulsating and shifting colors. 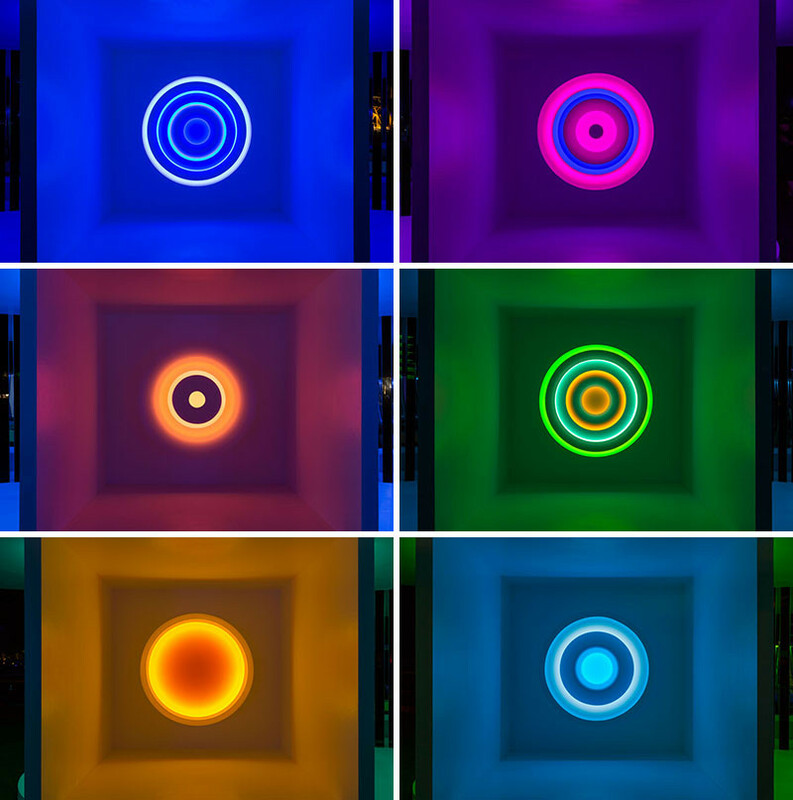 Sometimes the colors appear to be synchronized, and at other times each light element almost appears chaotic and detached from the next. 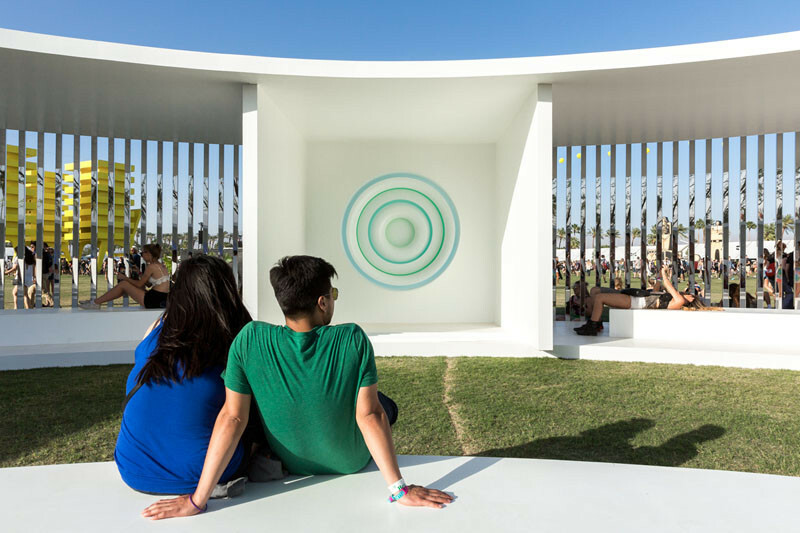 Each of the sculptures measure 6 feet in diameter, and are best viewed when standing directly in front of it. 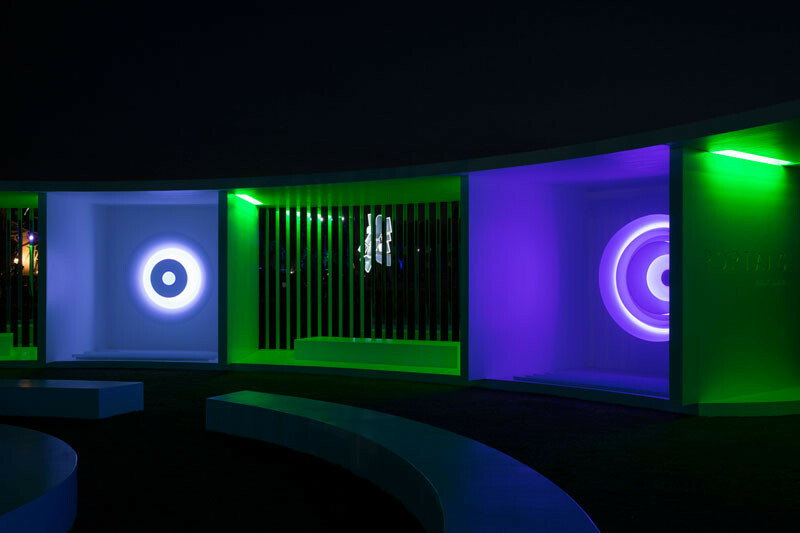 Here are a few of the color combinations.